Television has never been more superhero-obsessed than it is now, with the prime time schedule dotted with series like The Flash, Arrow, and Agents Of S.H.I.E.L.D. The supreme example of how to do a superhero show correctly, however, may just have been Cartoon Network’s Justice League Unlimited, which ran for three seasons and 39 episodes from 2004 to 2006. At least, that’s the central premise of an affectionate article by io9’s James Whitbrook, who argues that the series not only made terrific use of DC’s vast storehouse of heroes, both the famous and the not-so-famous, but also told compelling stories and presented its core characters, including Hawkgirl and Batman, in the best possible light. Whitbrook even goes as far as to say that JLU’s version of the Caped Crusader should be the standard against which all other Batmen should be judged. These are bold claims, and Whitbrook does not make them lightly. 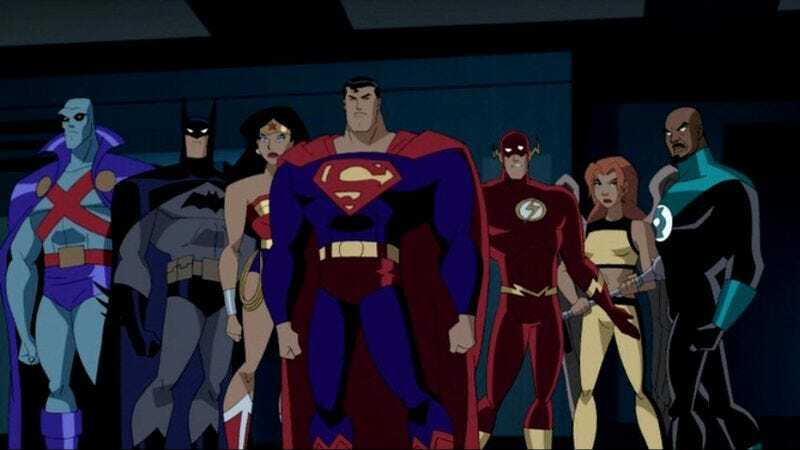 What made Justice League Unlimited great, the author says, is that it truly embraced the bigness of its universe while not losing sight of the personalities of its individual characters. That’s the balancing act at the center of many superhero franchises, across all media, but no one did it better than the creative team behind JLU. This was the final series of an interconnected DC animated universe overseen by producer Bruce Timm, who had co-created Batman: The Animated Series back in the 1990s, and Justice League Unlimited remains the finest, most complete expression of Timm’s vision. The show could tell serious stories, like “Epilogue” and “The Return,” or it could go completely goofy with episodes like “Kids Stuff.” And where else on television could viewers see such relatively obscure DC characters as the Red Tornado, Booster Gold, and Huntress finally get their time in the spotlight? For those interested in judging the legacy of Justice League Unlimited for themselves, the series is newly available on Blu-ray.